HUC was founded in Cincinnati in 1875 under the leadership of Rabbi Isaac Mayer Wise. Jacob Ezekiel was Secretary of the Board, registrar, and treasurer from the College's inception until just before his death in 1899. The first rabbinical class graduated in 1883. The graduation banquet for this class became known as the Trefa Banquet because it included food that was not kosher, such as clams, soft-shell crabs, shrimp, frogs' legs and dairy products served immediately after meat. At the time, Reform rabbis were split over the question of whether the Jewish dietary restrictions were still applicable. Some of the more traditionalist Reform rabbis thought the banquet menu went too far, and were compelled to find an alternative between Reform Judaism and Orthodox Judaism. This was a major cause of the founding of American Conservative Judaism. In 1950, a second HUC campus was created in New York through a merger with the rival Reform Jewish Institute of Religion. Additional campuses were added in Los Angeles in 1954, and in Jerusalem in 1963. 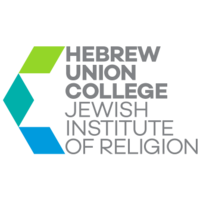 As of 2009, the Hebrew Union College-Jewish Institute of Religion is an international seminary and university of graduate studies offering a wide variety of academic and professional programs. In addition to its Rabbinical School, the College-Institute includes Schools of Graduate Studies, Education, Jewish Non-Profit Management, sacred music, Biblical archaeology and an Israeli rabbinical program. The Los Angeles campus operates many of its programs and degrees in cooperation with the neighboring University of Southern California, a partnership that has lasted over 35 years. Their productive relationship includes the creation of the Center for Muslim-Jewish Engagement, an interfaith think tank through the partnership of HUC, USC and Omar Foundation. CMJE holds religious text-study programs across Los Angeles. Ironically, no classrooms on this campus have windows. Rabbi Alfred Gottschalk was appointed as HUC's sixth president, following the death of Nelson Glueck. As president, Gottschalk oversaw the growth and expansion of the HUC campuses, the ordination of Sally Priesand as the first female rabbi in the United States, the investiture of Reform Judaism's first female hazzan and the ordination of Naamah Kelman as the first female rabbi to be ordained in Israel. In 1996, Rabbi Sheldon Zimmerman was appointed as the 7th President of the College-Institute. He was succeeded in 2000 by Rabbi David Ellenson. The 12th president of HUC-JIR, elected in 2014, was Rabbi Aaron D. Panken, Ph.D. A noted authority on rabbinic and Second Temple literature, with research interests in the historical development of legal concepts and terms, Rabbi Panken was killed in a plane crash on May 5, 2018, while piloting a single-engine Aeronca 7AC over New York's Hudson Valley. The cantorial school of the Hebrew Union College-Jewish Institute of Religion was founded in 1947. The school is located on the New York campus of HUC-JIR at One West Fourth Street. It offers a five-year graduate program, conferring the degree of Master of Sacred Music in the fourth year and ordination as cantor in the fifth year. Cantorial School at HUC-JIR begins in Jerusalem and continues for the next four years in New York. While in Israel, students study Hebrew, and Jewish music, and get to know Israel. Cantorial students study alongside Rabbinical and Education students. In New York, the program includes professional learning opportunities as a student-cantor, in which students serve congregations within and outside of the NY area. The curriculum includes liturgical music classes covering traditional Shabbat, High Holiday and Festival nusach, Chorus, Musicology, Reform Liturgy and Composition; Judaica and text classes such as Bible, Midrash and History; and professional development. Each student is assigned practica (mini-recitals) during the 2nd, 3rd, and 4th year of school culminating with a Senior Recital (based on a thesis) during the 5th year. Rabbi David Ellenson, then President of Hebrew Union College-Jewish Institute of Religion, announced on January 27, 2011 that the School of Sacred Music would be renamed the Debbie Friedman School of Sacred Music in honor of Debbie Friedman. The renaming officially occurred on December 7, 2011. HUC has both male and female students in all its programs, including rabbinic and cantorial studies. Since its founding, the College-Institute has ordained over 2,800 rabbis and over 400 cantors. As of 2007, 520 ordained rabbis and 179 invested cantors have been women. (See Women and the rabbinical credential). The first female rabbi to be ordained by HUC was Sally Priesand, ordained in 1972, the only woman in a class with 35 men. The first female cantor to be invested by HUC was Barbara Ostfeld-Horowitz in 1975. After four years of deliberation, HUC decided to give women a choice of wording on their ordination certificates beginning in 2016, including the option to have the same wording as men. Up until then, male candidates' certificates identified them by the Reform movement’s traditional "morenu harav," or "our teacher the rabbi," while female candidates' certificates only used the term "rav u’morah," or "rabbi and teacher." Sally Priesand herself was unaware that her certificate referred to her any differently than her male colleagues until it was brought to her attention years later. Rabbi Mary Zamore, executive director of the Reform movement’s Women's Rabbinic Network, explained that the HUC was uncomfortable with giving women the same title as men. In 2012 she wrote to Rabbi David Ellenson, HUC’s then president, requesting that he address the discrepancy, which she said was "smacking of gender inequality." In 2002 at HUC in New York the Reform rabbi Margaret Wenig organized the first school-wide seminar at any rabbinical school which addressed the psychological, legal, and religious issues affecting people who are intersex or transsexual. Reuben Zellman became the first openly transgender person accepted to HUC in 2003; he was ordained by HUC in 2010. Elliot Kukla, who came out as transgender six months before his ordination in 2006, was the first openly transgender person to be ordained by HUC. Klau Library in Cincinnati, the main research library. This library is the second-largest collection of printed Jewish material in the world (the National Library of Israel in Jerusalem is the first). The library states it has 700,000 volumes, including 150 incunabula and over 2,000 manuscript codices. Klau Library in New York—130,000 volumes. S. Zalman and Ayala Abramov Library in Jerusalem—100,000 volumes. Frances-Henry Library in Los Angeles—100,000 volumes. The three U.S. campuses share a catalog, but the Jerusalem collection is separately cataloged. The HUC-JIR Museum at the New York campus presents exhibitions highlighting Jewish history, culture, and contemporary creativity. Since its founding in 1983 as the Joseph Gallery, the HUC-JIR Museum has grown physically to encompass 5,000 square feet (460 m2) of exhibition space, expanding to include the Petrie Great Hall, Klingenstein Gallery, Heller Gallery and Backman Gallery. Amongst the exhibitions presented to date, the Museum has mounted seminal shows for emerging artists, surveys of leading mid-career and elder artists; cutting-edge exhibitions illuminating Jewish issues, including contemporary artistic responses to the Holocaust, the history of African-American and Jewish relations since 1654 to the present, the impact of family violence on the works of contemporary Israeli and American women artists, and the current situation in Israel and contemporary Israeli identity; landmark exhibitions establishing new directions for contemporary Jewish ceremonial art; group exhibitions reflecting new interpretations of Biblical text; and exhibitions of significant private collections, reflecting Jewish identity and consciousness, which have advanced the definition of Jewish art in the 20th century. Laura Kruger is the Curator of Museum Exhibition at the HUC-JIR Museum. The Hebrew Union College-Jewish Institute of Religion also manages the Skirball Cultural Center in Los Angeles and Skirball Museum in Jerusalem. Notable faculty members have included Judah Magnes, who was also the founding chancellor and president of Hebrew University of Jerusalem, Rabbi Abraham Cronbach, Rabbi Tamara Cohn Eskenazi, Abraham Joshua Heschel, Nelson Glueck, Moses Buttenweiser, Eugene Borowitz, Jacob Z. Lauterbach, Lawrence A. Hoffman, Steven M. Cohen, Moses Mielziner, Rabbi Alvin J. Reines, Debbie Friedman, and Rabbi Carole B. Balin. Joseph Krauskopf, founder of the National Farm School (now Delaware Valley University). ^ Sussman, Lance (2005). "The Myth of the Trefa Banquet: American Culinary Culture and the Radicalization of Food Policy in American Reform Judaism". The American Jewish Archives Journal. Cincinnati: Hebrew Union College-Jewish Institute of Religion. 57 (1–2): 29–52. ISSN 0002-905X. Retrieved April 4, 2010. ^ Grace, Kevin (Jan 4, 2012). "Legendary Locals of Cincinnati". Arcadia Publishing. p. 31. Retrieved 2013-05-07. ^ a b "Jewish Life in America". ^ "Hebrew Union College History". Archived from the original on 2007-02-05. ^ "Hebrew Union College Academics". Archived from the original on 2007-02-07. ^ "Hebrew Union College: University of Southern California". Archived from the original on 2006-09-04. ^ "CMJE - CMJE". Archived from the original on 2011-08-20. ^ Martin, Douglas. "Alfred Gottschalk, 79, Scholar of Reform Judaism, Is Dead", The New York Times, September 15, 2009. Accessed September 16, 2009. ^ "Debbie Friedman School of Sacred Music Renaming at HUC-JIR/New York". ^ "Hebrew Union College-Jewish Institute of Religion Dedicates Debbie Friedman School of Sacred Music - Hebrew Union College - Jewish Institute of Religion". Archived from the original on 2012-06-16. ^ "Hebrew Union College Statistics". Archived from the original on 2007-02-05. ^ "Sally Jane Priesand - Jewish Women's Archive". ^ "Cantors: American Jewish Women - Jewish Women's Archive". ^ a b "Transgender Jews Now Out of Closet, Seeking Communal Recognition". ^ a b "Rabbi Zellman - bethelberkeley.org". ^ "Carole B. Balin (curriculum vitae)" (PDF). Hebrew Union College. 14 June 2013. Retrieved 25 April 2016. ^ "Cody Bahir - Universiteit Leiden - Academia.edu". ^ ""Troublemaker" Women Honored, Receive Ivy | auburn". Auburnseminary.org. 2009-08-22. Archived from the original on 2011-07-25. Retrieved 2012-02-09. ^ "This Week in History - Angela Warnick Buchdahl invested as first Asian-American cantor | Jewish Women's Archive". Jwa.org. 1999-05-16. Retrieved 2012-02-09. ^ "Women's History Month: Unique Rabbi-Cantor Follows Her Own Melody". ^ "Angela Buchdahl". Finding Your Roots. ^ "Our Clergy: Ammiel Hirsch, Senior Rabbi". Stephen Wise Free Synagogue. Archived from the original on 15 April 2011. Retrieved 2 April 2011. ^ "Joseph Krauskopf Memorial Library". www.delval.edu. ^ "America's First Female Rabbi Reflects on Four Decades Since Ordination". ^ "Newspaper clipping highlights one of world's first female rabbis - Special Collections <> The University of Southern Mississippi Libraries".